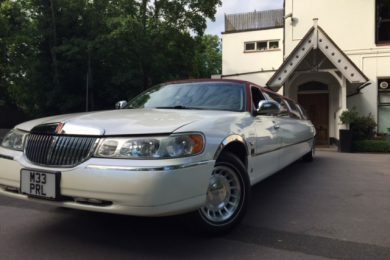 Kent Atlantic Limousines offers limousine hire in East Grinstead, perfect for just about any occasion. With flexible prices and a beautiful selection of vehicles to choose from, we will give you a ride you are sure to remember. Choose from our selection of elegant limousines. The star of our fleet is the burgundy roofed Lincoln, which is just one of two in the UK. 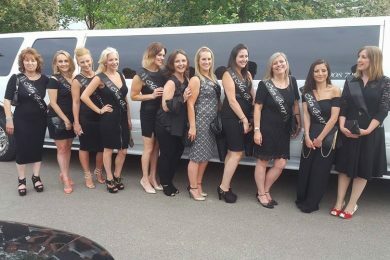 For larger parties, our Ford Excursion 4x4s offer a comfortable, spacious ride ideal for corporate events, hen parties and more. All of our vehicles are maintained to the highest standards. Our drivers are friendly, accommodating and professional, and are CRB-checked for your peace of mind. With Kent Atlantic Limousine, you always travel in style. As we are local to East Grinstead we can provide the lowest prices available. Our drivers all know the East Grinstead area very well so getting to and from your destination will be no problem. Celebrate your birthday with Kent Atlantic Limousine’s beautiful limousines. Enjoy a first-class limo service, no matter where you are in East Grinstead, for a night that you will remember for years to come. Our limos come with state-of-the-art interiors, an excellent sound system and a dazzling laser display. Your wedding is one of the most important days of your life. On this special occasion, you only deserve the best transportation. Celebrate your wedding day with an elegant ride that will whisk you to your wedding venue and honeymoon. Our red roofed Lincoln is perfect for the bride and groom, while our Ford Excursion 4×4 is ideal for the wedding entourage and other guests. 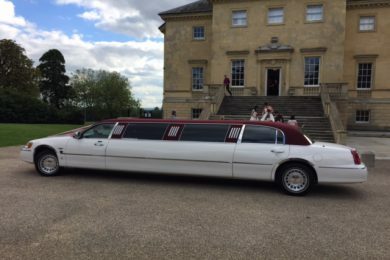 Whether you have an important client, or are celebrating a company milestone, Kent Atlantic Limousine is the ideal choice for corporate events in East Grinstead. We offer a premium chauffer service and high-end limousine experience. Why Choose Kent Atlantic Limousine? Kent Atlantic Limousine goes above and beyond our customers’ expectations. We offer a five-star limo experience at a competitive price, customised according to your needs. Call us today; our staff are always ready to help you with arrangements for a memorable occassion. We are based in East Grinstead, allowing us to provide our limo services at local rates. All of our drivers are punctual and efficient — our limos are close by and ready to take you to your chosen destination. Since Kent Atlantic Limousine is a locally based business, we have an in depth knowledge of East Grinstead and the surrounding area. Our drivers are familiar with the roads and know all the local attractions. This ensures no problems getting to and from your destination. 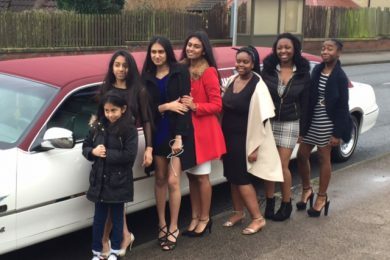 We are flexible and always customise our limo packages to suit your needs. We can accommodate both day and night time events, and arrive exactly at your agreed upon time. We also accommodate last minute schedule changes. Just give us a call. At Kent Atlantic Limousine, we offer a range of limousines for you to choose from, perfect for both small and large groups. Choose from our Ford Excursion 4x4s or impress with our burgundy roofed Lincoln. Let us know your needs, and we will find you the best option.